God placed Bay Park at it’s current location for great Kingdom purposes. As a church, we not only gather together for worship, but for witness. 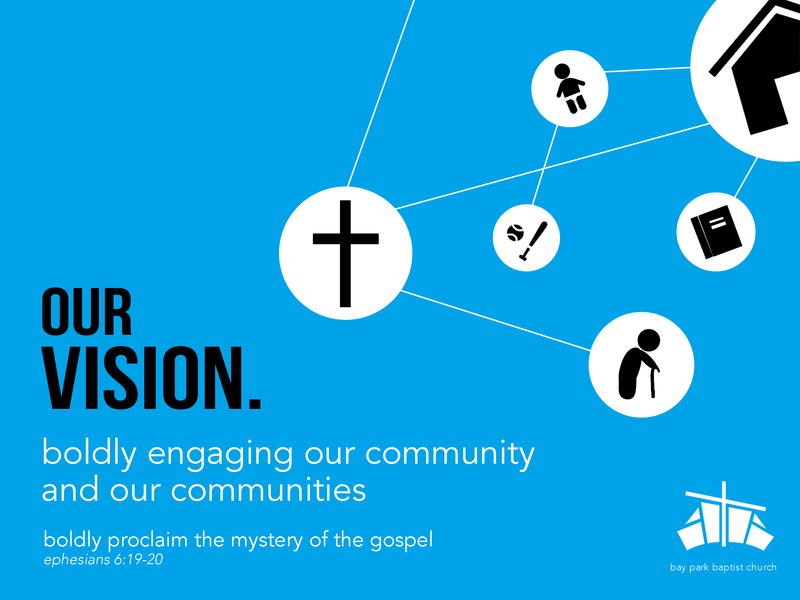 Our desire is to positively impact lives forever in our church community, the neighbourhood around us. We want to love boldly and deeply. To connect with our neighbours at their point of need, and in doing so, to point them to the love of Christ. We also recognize that the amazing people who make up Bay Park are from all over Kingston and beyond. As we work together to reach our church community, our goal is to equip and encourage one another for greater impact in our communities, the ones where we each live, work and play.